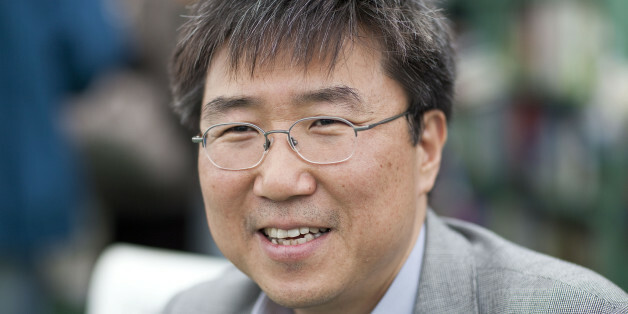 Ha-Joon Chang teaches economics at Cambridge University. He is the author of “23 Things They Don't Tell You About Capitalism.” His new book, “Economics: The User's Guide,” will be released on May 1, 2014 in the U.K. He spoke recently with The WorldPost South Korea editor and former Oxford Union President Seung-Yoon Lee. Seung-Yoon Lee: You have said that “economics is a political argument,” that you cannot really separate economics from politics. Even the concept of “free market” is determined by politics. “What is free” is determined by society and through the political process. How do you come to this conclusion? Ha-Joon Chang: When I say this: I am seeking to debunk this widespread view, propagated by the current generation of economists, that somehow you can neatly separate economics from politics. They say, “This is the area of the market, and no political logic should intrude.” But actually, what you count as a political logic or market logic partly depends on your economic theory. Free market economists frequently see minimum wage legislation as mere political intervention. However, there are decent economic theories which show that, under certain circumstances, minimum wages can be beneficial, as it makes workers more productive. Although it might create more unemployment in the short run, workers become more productive and you have higher output in the long run, and you can employ more people as a result. I’m not necessarily defending that theory, but depending on your economic theory, you could say that what you might call a political logic can be an economic logic. But more importantly, all markets are in the end politically constructed. A lot of things that we cannot buy and sell in markets used to be totally legal objects of market exchange - human beings when we had slavery, child labour, human organs, and so on. So there is no economic theory that actually says that you shouldn’t have slavery or child labour because all these are political, ethical judgments. When the market itself is constructed as a result of some political and ethical judgment, how can you say that this area can somehow be separated from the rest of society and the political system? Ha-Joon Chang: To me, economics is study anything to do with production, exchange, and distribution of goods and services. But according to the definition by Lionel Robbins in his famous book, "An Essay on the Nature and Significance of Economic Science," economics is “the science which studies human behavior as a relationship between ends and scarce means which have alternative uses.” From there, we have developed the notion of economics as basically a rational choice theory, about how people make these rational choices. That is why you have books like "Freakonomics." If you look at that book, how much of it is economics in the conventional sense? Pretty much none of it. You may say there are examples of drug dealers and estate agents, but that’s about it. In the subtitle of the book, it says it is about basically about everything. And there are so many popular economic books which have “everything” in their titles and subtitles. Now when you think [about] it, this is very peculiar because all the other subjects define themselves in terms of the area of inquiry or object of inquiry rather than the methodology. If you go to the biology department, they don’t say that all biology should be studied with DNA analysis. People study living organisms in many different ways, so some people will do DNA analysis, others might do anatomy, and still others might build game theoretic models of animal behavior. Some people do live experiments with rats, and some people might go and sit with mountain gorillas in the jungles of Rwanda. But they are all called biology because they all study living organisms. In recognition of the fact that living organisms are quite complex things and that they cannot be understood on one level, you cannot study elephant by just looking at their DNA. You also have to look at their outer shape and say that they must be related to rhinos because they look similar. So you need to study these things in different levels. This view that you can and should study the economy in only one way, and going even one step further and basically redefining economics as a theory of everything, is very peculiar. Economics is not a way of thinking like being rational and maximizing your monetary gain in all your actions. Economics should be defined in terms of what it is about. It should be about how people produce things, how people exchange them, how people earn income, how they pay taxes, how the government provides infrastructure with tax revenue and how it conducts monetary policy. The subject has to be defined in terms of the object of inquiry. Seung-Yoon Lee: One of many things that sets your new book apart from others is that you devote a whole chapter to different schools of thought in economics. Why is that so important? Ha-Joon Chang: I’m sure it’s similar in many other fields, but especially in economics there is no single economic theory that can explain everything. To make that point, I talk about Singapore in the book. If you read the standard account of Singapore’s economic success in The Economist, The Wall Street Journal, or some textbook, you only learn about Singapore’s free trade and welcoming attitude towards foreign investment. But you will never be told that all the land in Singapore is owned by the government, and 85 percent of housing is supplied by the government’s own housing corporation. 22 percent of GDP is produced by state-owned enterprises (including Singapore Airlines), when the world average in that respect is only about 9 percent. So I challenge my students to tell me one economic theory, Neo-Classical or Marxist or whatever, that can explain Singapore’s success. There is no such theory because Singaporean reality combines extreme elements of capitalism and socialism. The point that I’m trying to make as an example is that all theories are partial.The Classical school or Marxist school focuses more on production than exchanges, in contrast to the Neo-Classical school. They make different assumptions, and they are interested in different issues. They all have their weakness and strengths. In recognition of the fact that the real world is very complex, we need to teach our students and the general public that there are different ways of understanding the economy. Seung-Yoon Lee: Can you blame economists for the 2008 financial crisis? Ha-Joon Chang: You can and should blame economists, but they are, of course, not the only people who made this mess. All these financiers who invented and traded dubious products without providing full transparency and cheated the regulators -- they should be blamed as well. The regulators believed that the market more or less regulates itself and thought that all they have to do is to capture swindlers. So a lot of people are to blame, even down to people who took up mortgage loans without fully understanding them. So what about economists? Well, they are the ones who justified what was going on. Not everyone of course; not all of them are cheerleaders. But [mainstream economists] were saying that the markets are efficient, that there was no bubble. Robert Lucas, the 1995 winner of Nobel Prize in economics, even declared that the “problem of depression prevention has been solved.” Most of them thought that way. At least, they gave people a false sense of security. What is even worse is they were actively selling that story. If you watch documentaries like “Inside Job”, some of them were paid handsome amounts of money to say these things. There is this famous finance professor at Columbia, who, several months before the Icelandic banking system collapsed, produced a paper saying that Iceland might be going through a bit of difficult stage, but it is a model for the rest of the world and so on. Later it turned out that he was being paid quite a large amount of money by the Icelandic Chamber of Commerce. I’m not saying that most [economists] do this for money, but they did propagate a theory that is basically soothing to everyone: There is no bubble. Everyone is rational. Markets are rarely wrong. Rather than de-bunking free-market ideology, shouldn’t we concentrate our efforts on tackling vested interests instead? Ha-Joon Chang: Ideas are also a power resource. Yes, probably in that sense, you can say that Marx was right to emphasize the importance of the material over ideas. A lot of money is at stake over these issues. When it reaches the top level of society, the boundaries of money, political power, and ideas are blurred. A man might be extremely influential without being very rich or holding political office, because he is an editor of a major newspaper. I’m not saying this is downright corruption, but people like Tony Blair have become very rich through all these political connections, which they can legally use to attract a lot of high-paying customers. Sometimes, you become politically powerful because you are rich, like Berlusconi. At the top, these things are mingled. Although it is true that a lot of times these neoliberal ideas are used for as a cover for what you are going to do anyway, it is not always the case. There are ideologues who passionately believe in free market ideas. In a way, those people are more difficult to change. If they are just doing it in a cynical way and saying those things because they want to earn more money and collect more political power, actually you can change those people quite easily. But if someone believes that something is the truth, it is more difficult. Seung-Yoon Lee: Paradoxically, if Republicans like George Bush actually passionately believed in free market ideology, it would have led to more disastrous consequences after the financial crisis. Ha-Joon Chang: That’s right. That’s why arch-conservative Otto Von Bismarck introduced the first welfare state in the world. He hated socialism, but he wasn’t an ideologue. He basically figured out that if you don’t provide a minimum safety net to workers, they will be persuaded by the socialists. He didn’t want that to happen, so he kept the workers happy by creating the first welfare state in the world. Anyway, sometimes people with strong ideology, whether left-wing or right-wing, refuse to do something simply because they believe it is wrong when doing it actually benefits them. For some people, it’s not just about money and political power. Actually, the existence of these complex motives behind human action disproves the central notion behind free market economics that everyone is all driven by the same thing: monetary gains. Seung-Yoon Lee: With the rise of China, some argue that the current American-led world order will be challenged. They say the so-called “Washington Consensus”, characterized by strong free-market capitalism, will be challenged a “Beijing Consensus” that espouses state capitalism. How do you think the rise of China and shift in global power will affect the global economic order? Ha-Joon Chang: I want to clarify one thing before I answer this question. In the very beginning, even the American model wasn’t neoliberal in today’s sense. In the 1950s, under Eisenhower, the top income tax rate in the United States was 92 percent. Some people joke that Eisenhower was the most communist president. A lot of countries had serious regulation on capital flows. Yes, America was more pro-market than other countries, but in comparative terms, America in 1950s and 60s was a lot more left-wing than it is now. So the U.S.-backed, post-war world order has gone through political changes. Until the early 1970s, the so-called “Washington Consensus” was very different from what it is now. Back to your question, I think it’s not clear what China stands for. Ostensibly, they are socialist. It’s still a relatively poor country going through huge social changes. People outside of China mostly don’t know that every year there are hundreds of thousands of local riots, industrial strikes, and demonstrations. In a way, what it is doing is actually not that different from what the more advanced countries were doing in the late 19th century and early 20th century. Many countries, including Japan and Germany, like China today, were using state-owned enterprises to develop their strategic industries. You can say that China is going through what all the other economically advanced countries have been through, and examples range from the U.S. in the mid-19th century to South Korea in the 1970s and 80s. "Many countries, including Japan and Germany, like China today, were using state-owned enterprises to develop their strategic industries. You can say that China is going through what all the other economically advanced countries have been through, and examples range from the U.S. in the mid-19th century to South Korea in the 1970s and 80s." I’m not saying China is going through exactly the same process, but it is actually more accurate to see this as a part of a recurring pattern than something radically new. In that sense, I am not sure about the view that when China becomes stronger, the world will become different. Yes, the world probably will become different because more people will learn Mandarin, and more people will go and study in China. But I don’t think it is going to be different in the sense that it’s going to be socialist or that stronger countries are going to be nicer to weaker countries. Some people talk about state capitalism, but how can you predict that those state enterprises will never be privatized Twenty years from now, China may be privatizing the last of its state-owned enterprises. Countries like France and Austria did this back in the 1990s, and those economies used to have large state-owned enterprise-led sectors. Seung-Yoon Lee: What is the greatest economic challenge of China? Ha-Joon Chang: Of course, China has achieved a lot and I have no doubt that it will go much further, but I think that there are great challenges ahead. One is the environmental issue. Some cities in China have become quite dangerous to live in. Of course, most [industrialized] countries faced this problem in the past. For example, England, Japan, and Korea all experienced this problem. I am not saying this is unique to China, but it is different in the sense that China has been growing at the fastest pace in the largest scale in human history, which has an impact on the scale of environmental challenges that China faces. An even more serious and immediate challenge is the inequality problem. Chinese inequality has grown rapidly over the past three decades. Now, it is equal to that of the United States, one of the most unequal countries in the rich world. Of course, China’s level of inequality is considerably lower than that of countries in Latin America and Africa. However, it is a bigger challenge for China because that China started from a very equal society half a century ago when everyone was wearing blue “Mao” suits. Within a generation, you now have a situation where some people live in a replica of the White House, and others sleep on the streets. In China, people are not used to seeing this level of inequality. People are accepting this situation because when you are growing at 9 or 10 percent, even the guy who is doing least well is eating another bowl of rice from that economic growth. So people accept it. "Within a generation, you now have a situation where some people live in a replica of the White House, and others sleep on the streets. In China, people are not used to seeing this level of inequality." What are they going to do when growth inevitably slows down in the next few decades to 5 or 6 percent or even lower? As I said, unbeknownst to the outside world, there are already over 100 thousand incidents of industrial strikes, demonstrations, and local riots [every year] in China. The last figure I saw was one hundred and eighty thousand instances few years ago, and it could be even higher today. Unless they resolve this problem, the whole process might be derailed. It could lead to a high level of political instability that discourages investment, growth, and economic development. Seung-Yoon Lee: A few years ago, The Economist pointed out, “Europe not only has a euro crisis, it also has a growth crisis. That is because of its chronic failure to encourage ambitious entrepreneurs.” Why is Europe less entrepreneurial than the U.S.? One of the ironies I can see here is that one of the most unequal advanced economies is also the most entrepreneurial. My intuition tells me that a stronger social safety net can lead to a more dynamic entrepreneurial culture because people have something to fall back if they fail. But this logic doesn’t seem to apply to what is happening in the U.S. and Europe. What is the relationship between risk taking and welfare in general? Ha-Joon Chang: First of all, you said Europe has a fundamental problem regarding its ability to encourage entrepreneurship and innovation. I think you need to be careful in jumping to that conclusion. Europe does not have the kind of revolutionary high tech firms you see in Silicon Valley. But in modern economies, innovation doesn’t just happen in those frontier areas. In terms of “incremental innovations,” Europe is equal to or even better than the U.S. It is difficult to measure how innovative a country is, but many European countries like Sweden and Finland spend far great proportion of GDP on research and development than the United States. There are a lot of areas where Europeans lead in technologies. Secondly, American entrepreneurship and innovation has been hugely backed by state intervention. At the height of the Cold War the American government used to finance at least half or sometimes even two-thirds of R&D when European governments typically provided 30~40 percent of R&D. The frontier industries of the United States were actually created by the state. It didn’t come from this individualistic entrepreneurial culture that people think the US is uniquely endowed with. "The frontier industries of the United States were actually created by the state. It didn’t come from this individualistic entrepreneurial culture that people think the U.S. is uniquely endowed with." Think about the list of areas in which the U.S. has technological leadership. Almost all of them were financed at least in the beginning (and a lot of them in the mature stage) by the U.S. government. Basically, the Pentagon financed the development of the computer in the early days, and the Internet also came out of a Pentagon research project. The semiconductor -- the foundation of the information economy -- was initially developed with by the funding of the U.S. Navy. The U.S. aircraft industry would not have become what it is today had the U.S. Air Force not massively subsidized it indirectly by paying huge prices for its military aircraft, the profit of which was channelled into developing civilian aircraft. Despite what the pharmaceutical lobby might say, 30 percent of pharmaceutical research in the United States is provided by the federal government. The list is quite impressive. The American-Italian economist, Mariana Mazzucato at the University of Sussex once wrote an article showing how every important piece of technology in an iPhone was initially funded by the U.S federal government. We can’t say the U.S. is ahead in the frontier technology sector as a result of private sector entrepreneurship. It’s not. It’s a partnership between individual entrepreneurs and the US federal government. You can even say that American entrepreneurs can take such risk in those frontier areas, exactly because they have a huge safety net in the form of U.S. federal funding for research and development. Seung-Yoon Lee: A recent paper of from Oxford University concludes that 47 percent of U.S. jobs are at high risk from automation, a result of the so-called ‘Second Machine Age.’ What do you think of the impact of this new technological revolution is? How should we deal with it? Ha-Joon Chang: The fact that technological advances have been destroying certain jobs has been a constant in the development of capitalism. Starting from the textile artisans, the “Luddites,” who went out to break machines in the early days of the Industrial Revolution, this has been a constant concern. Just think about all these English surnames which come from professions that do not exist anymore. There is nothing new about technology replacing people and machines replacing people. What is new about the current technological progress is that the white-collar jobs we thought couldn’t be mechanised are now under threat. You could think about the Dystopian world coming out of it, but it is quite wrong to believe that what equality we end up with is basically determined by our technology. For example, if you look at the OECD statistics there is an increasing set of statistics that show each country’s income distribution measured before tax and welfare transfers and after tax and welfare transfers. If you look at the figures, you actually realize that before tax and transfers, quite a few European countries are more unequal than the United States. However, after tax and transfers, these countries end up being a lot more equal. Because they tax and transfer so much, they basically change inequality in a fundamental way. Germany is one country which is more unequal than the United States before tax and transfers, and Belgium is another. Sweden has a similar level of inequality with the U.S. before tax and transfer. All these countries have a very high level of inequality before public intervention. "Before tax and transfers, quite a few European countries are more unequal than the United States." Saying that we cannot do anything because of technological progress is rather a defeatist idea because a lot of countries have already done a lot to modify the income distribution outcome that is produced by the market. It’s probably going to be a new challenge in the sense that people who you had thought they were protected from technological progress and mechanization are vulnerable to it for the first time. But we have dealt with that basic problem throughout economic history.